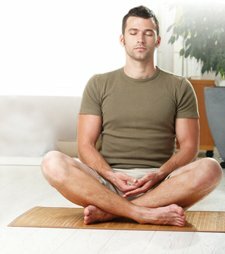 Transcendental Meditation (TM) has a dramatic healing effect on people with post-traumatic stress disorder (PTSD) and can also result in lower blood pressure, according to two new studies. TM—a technique to avoid distracting thoughts, decrease stress and promote a state of relaxed awareness—reduced PTSD symptoms in combat veterans by as much as 50 percent in just eight weeks, according to a study from Georgetown University, in Washington, D.C., published in the journal Military Medicine. The veterans also reported decreased depression and improved quality of life, with a greater ability to come back to their civilian lives after returning from duty. Vietnam War vets randomly assigned to TM sessions at a Denver Veterans Center also experienced greater reductions in alcohol usage, insomnia and depression than those in conventional counseling. At the conclusion of a landmark three-month study, 70 percent of the meditating veterans felt they no longer required the services of the center. A separate American Heart Association report on the general U.S. population showed that the practice of TM generally reduced systolic blood pressure in subjects by five points and diastolic by three points, enough to put many of them into normal range. Previous clinical trials have shown that lower blood pressure through TM practice is associated with significantly lower rates of death, heart attack and stroke. TM is usually practiced for 15 to 20 minutes twice a day by sitting comfortably and focusing on an individually selected word or series of words.